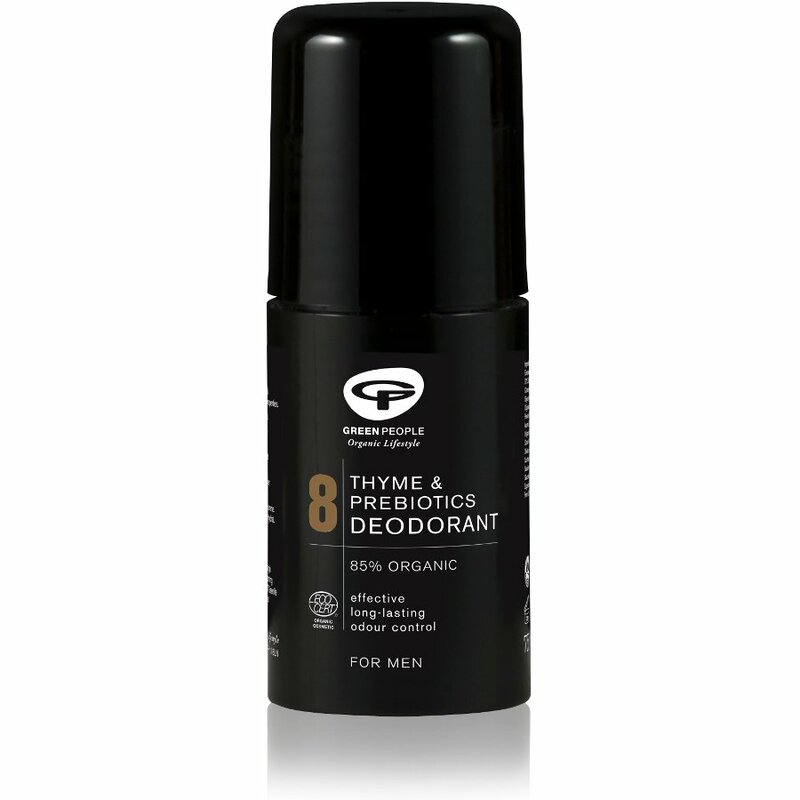 Organic natural and effective stay fresh roll on deodorant for men from Organic Homme Green People. Made with an anti-irritant formula with fairly traded soothing Shea butter this deodorant effectively kills the bacteria that causes body odour without clogging pores. Contains organic Aloe Vera Prebiotics Alum Zinc Ricinoleate Thyme Lemon & Clove. Has a fresh antibacterial Thyme Clove and Lemon scent. Free from pore-clogging Aluminium Parabens alcohol (ethyl alcohol ethanol) and artificial fragrances. 85% certified organic ingredients. Contains fairly traded ingredients.